Denomination : Silver penny. Mint : Canturbury. Reference : Spink-1409. North-1038/2 (a). Size : 16.8 x 17.8 mm. Weight : 1.27 grams. Grade : VF but significant ghosting across the portrait. 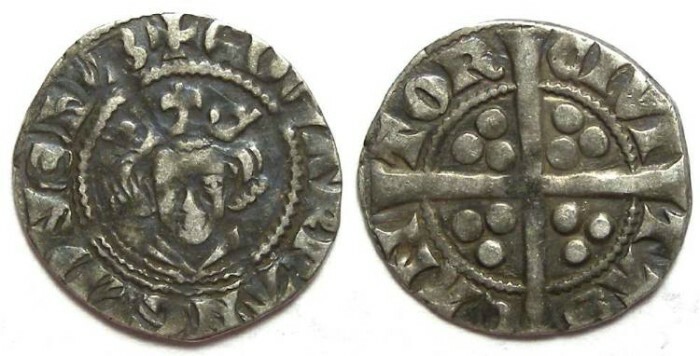 Obverse : Head of Edward I forward, with EDWAR R ANGL DNS HYB around. Reverse : Long cross with CIVITAS CANTOR around.